Our company has been specializing in OEM & ODM manufacturing of sporting goods for 12 years. 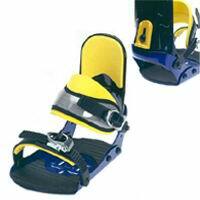 Our products including: snowboard binding, snowboard boots, snowshoe and ski / trekking / walking pole...ect. Our reputation is known throughout the industry for offering high quality, reliable service at a superior price. If you are looking for an OEM / ODM Manufacturer of quality, value, reliability, Yokotex is committed to meet your needs.